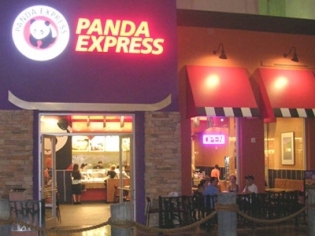 The Panda Express located in the Miracle Mile Shops in Planet Hollywood Resort is an added location for this ever-popular Chinese restaurant. Offering bold flavors of Mandarin and Szechuan cuisine, the menu features traditional Asian fare served in variety of entrée choices. Select a combination platter or simply adhere to a one-of-a-kind favorite. The quick service, delicious menu and superb hospitality produce a perfect combination for a delightful meal. Casual eat-in dining and the buffet service line make for a convenient and quick stop for a busy day meal. Mix and match your favorite Asian dishes. There are a variety of health conscious options as well.